Without doubt, this is the most definitive book yet written about hunting Africa’s noble eland species … It is an overall tour de force of eland hunting and their ecology over the historical time span that man has been in pursuit of them. I’ve been fortunate to hunt all species of Eland: Cape in Botswana’s Kalahari; Livingstone’s in Zambia’s Luangwa Valley; Patterson’s in Tanzania’s Selous and, the hardest of all, the Lord Derby in Cameroon’s savannah. Peter Flack, with Rowland Ward Publications, has captured the essence of eland hunting as I’ve experienced it. He has produced an amazing book on the gentle giants of plains game, the Eland. This is a book of historic substance and a future seminal reference work on the species, written by man whose decades of experience in the wilds of Africa are testimony to his skill, knowledge and dedication as one of the prime hunter/conservationists of our times. A truly interesting book of very varied and informative content. I think it is much more than just a book on hunting the Eland. It is a book worshipping this grand animal or, to quote from its pages the words of C.J.P. Ionides, a “love affair” with one of the most elusive of the rare mammals of Africa. This book should be on the shelves of the library in every African hunter’s home. Artfully mixing historical aspects, taxonomic and biological information with stories by well-known hunters past and present, in his own inimitable, tongue-in-cheek style of storytelling, Peter Flack has compiled an invaluable source of information. His trademark dedication to detail and the many excellent photographs promise that the Eland Book will become another African Hunting Classic. The contributors to this excellent book read like the Who’s Who of African kudu hunters. 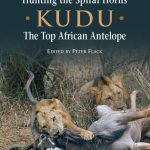 This probably best explains why this well written, comprehensively researched and visually appealing book is going to become required reading for all spiral horn hunters, in general, and kudu hunters, in particular, for many years to come. This is the second in a series of books about the spiral-horned antelopes of Africa. Peter Flack, with the help of many other authors, gives us a rich mosaic of the world's largest antelope, the eland. Hundreds of photos show Central African and western giant eland as well as the three subspecies of common eland: Livingstone, East African, and Cape. In addition to Flack's text, the book contains contributions by Christophe Morio, Theodore Roosevelt, John Millais, Major Hubert Maydon, Constantine Ionides, Robin Hurt, Richard DuPont, Chris Kinsey, Don Cowie, Craig Boddington, Ivan Carter, Joe Wright, Derek Hurt, Tony Dyer, Peter Kennedy, and others. As you can tell from the list of authors, there are a number of historical accounts of eland hunts, and these make the book especially interesting. You'll learn about the first English-speaking hunters who hunted giant eland; interestingly, all of them hunted in the Sudan, and they found the giant eland far more difficult to hunt and apparently much less plentiful than they are in today's best areas. Besides interesting and compelling hunting stories from a great many authors, there are sections on how to hunt eland as well as how to prepare for an eland hunt in South Africa, Tanzania, or the Central African Republic. Photos of some of the biggest specimens ever taken of each variety are shown-magnificent trophies indeed. These images are interspersed with photos of other animals found in the eland's habitat, as well as historical photos of eland trophies, hunters, and lore. Not all of us will be lucky enough to hunt eland, but we can read about it and dream along in the hopes that one day we, too, may find ourselves following the trackers over dry, dusty trails to get within range of one of these magnificent animals. This book will take you there. 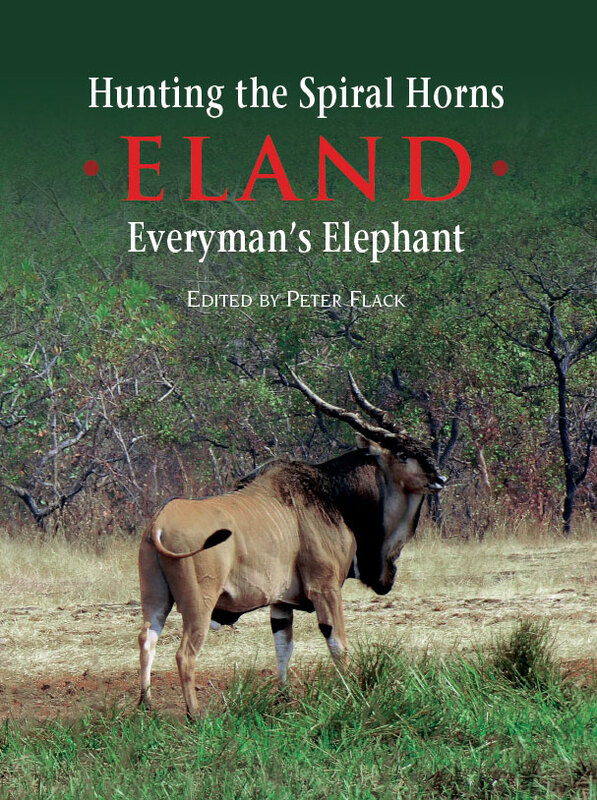 Hunting the Spiral Horns – Eland, Everyman's Elephant, edited by Peter Flack, is the second in a five book series covering all the spiral horns and is designed to be the definitive book on hunting the five sub-species of eland. 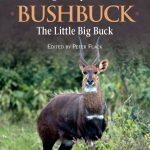 The first in the series, Hunting the Spiral Horns – Kudu, The Top African Antelope, was launched in January, 2012 and the next, Hunting the Spiral Horns – Bushbuck, The Little Big Buck is due out in January, 2014. The remaining two books cover the four sitatunga subspecies and then the two nyalas and bongos. The Eland Book is big, over 300 pages long with some 350 colour photos and over 40 black and white ones. The list of the 21 hunters and authors who contributed material specially written for the book reads like the Who’s Who of eland hunters and includes luminaries such as Craig Boddington, Ivan Carter, Don Cowie, Anthony Dyer, Robin Hurt, Jofie Lamprecht, Kevin Robertson and Tony Tomkinson, to name but a few. The book also includes the exploits of famous hunters of yesteryear such as Lyell, Maydon, Millais, Roosevelt, Selous, Stevenson Hamilton and others, as well as chapters on rifles and ammunition, clothing and equipment and a number of “How To” chapters - given the different terrains in which eland are found - by passionate and very experienced eland hunters. Each story has been especially chosen for the lesson(s) it contains.